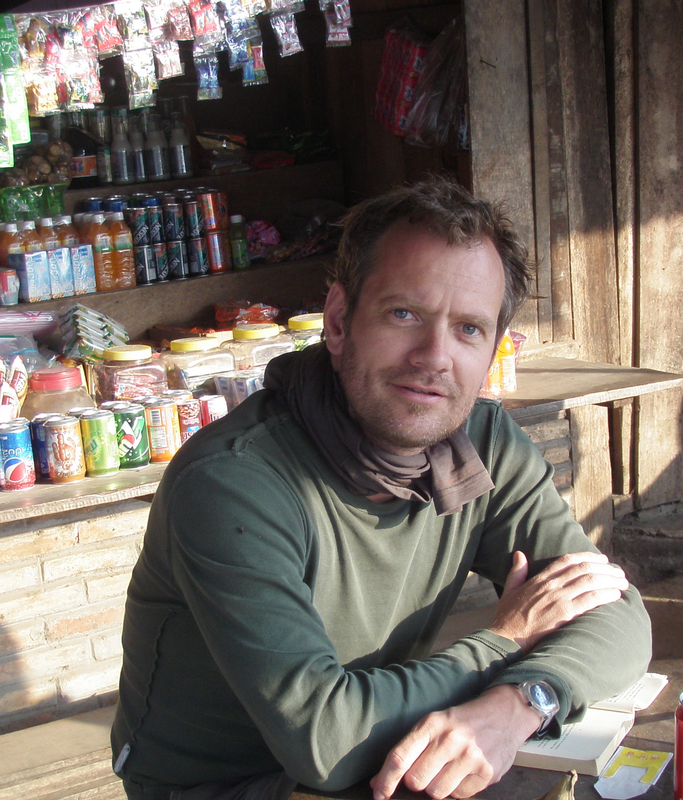 Written by Jesper Møller Grimstrup, an independent danish theoretical physicist. He has collaborated with the mathematician Johannes Aastrup for more than a decade developing what they now call quantum holonomy theory. His present research is financed by an Indiegogo crowdfunding campaign (still open). Find more information on www.jespergrimstrup.org. Could the laws of nature originate from a principle, that borders a triviality? Does a final theory that cannot be explained by yet another, deeper theory, exist? What could such a theory possibly look like — and what might we learn from it? These are the million dollar questions. Will the ladder of scientific explanations that take us from biology to chemistry and down through atomic, nuclear and particle physics, end somewhere? Will we one day reach a point where it is clear that it is no longer possible to dig deeper into the fabric of reality? Will we reach the bottom? Together with the mathematician Johannes Aastrup I have developed a new approach to this question. Our theory — we call it quantum holonomy theory — is based on an elementary algebra, that essentially encodes how stuff is moved around in a three-dimensional space. Its principal algebraic relation is an integrated version of the canonical commutation relations of quantum gravity formulated in terms of Ashtekar variables . This implies that a theory built over this algebra will include the kinematics of quantum gravity, i.e. the basic prerequisite for a theory of quantum gravity. A certain sector of this algebra produces a so-called almost commutative algebra, which is the key mathematical entity in the work of Ali Chamseddine and Alain Connes, in which they show that general relativity and the standard model of particle physics can be understood as a single gravitational theory formulated in terms of non-commutative geometry . This means that the QHD algebra identifies a natural mechanism of unification within a purely quantum gravitational framework, which lies very close to a standard canonical quantization scheme. The question — which we are now working on [4, 5] — is whether a consistent quantum theory can be built over this algebra and whether this will in fact provide a link to the standard model of particle physics via Chamseddine and Connes work. Our analysis suggests that such a theory exist. One of our most interesting findings so far is that this theory appears to naturally involve a semi-classical limit where general relativity emerges . The existence of such a limit is of course critical for any candidate for a non-perturbative theory of quantum gravity as it must be able to deliver the classical theory that we already know — and, in fact, this is where things often get tricky in the quantum-gravity business. The reason why our framework appears to solve this problem more easily is that the QHD algebra picks up information about the differentiable structure of the underlying manifold — i.e. information about neighbourhood between points. This information, which is missing in the algebraic setup of other approaches such as loop quantum gravity , is essential for the formulation of classical field theories such as general relativity. 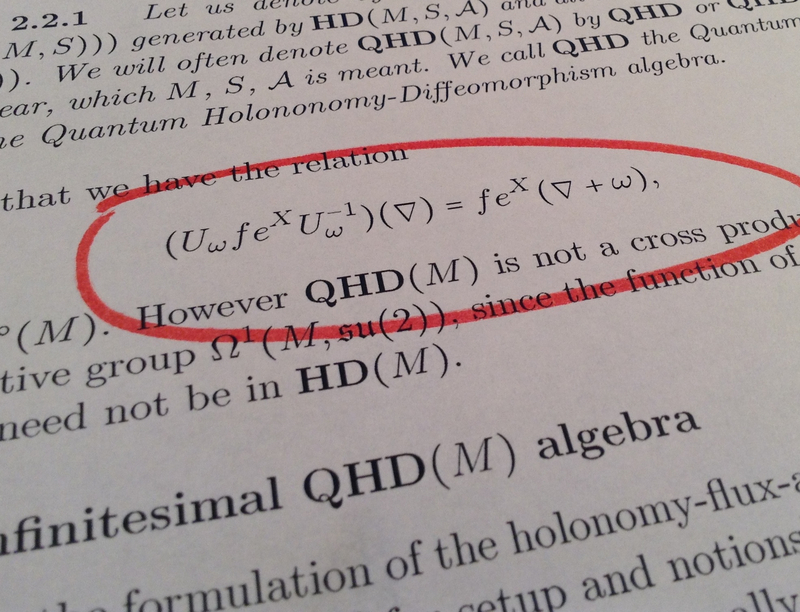 The most interesting aspect of the QHD algebra might, however, be its conceptual simplicity. Here is why: if a final theory does exist, then it is conceivable that it will be founded on a principle, that is essentially empty, even bordering the trivial, since any prerequisite structure will expose it to yet another round of scientific reduction. At the same time, it must generate a mathematical framework rich enough to explain the physical reality we experience around us. The QHD algebra has precisely this ’empty’ quality. It is so elementary that it seems utterly immune to further reductions and yet it gives rise to non-trivial mathematical structures. The question “what is the action of moving stuff around made of?” makes little sense, and hence we believe that a theory built over this algebra just might come with the prefix “final”. What I find particularly interesting about this is that with a theory based on the QHD algebra we do not appear to learn anything of existential significance. Stephen Hawking talks about “knowing the mind of God” as a spin-off from a final theory, but if nature should have chosen a theory based on the QHD algebra then there does not seem to be any message — divine or secular — to be found in it but rather an awkward sense of the trivial. No deep revelations about reality, no supersymmetry, no extra dimension and no “everything is made of… tiny bananas!” An algebra, that simply encodes how stuff is moved around in space, is something so ordinary that it could have been written down ages ago and does not seem quite worth the struggle of finding it. This is precisely the reason I believe that this would be a most interesting finale to that scientific quest, which the ancient Greeks started several millennia ago. 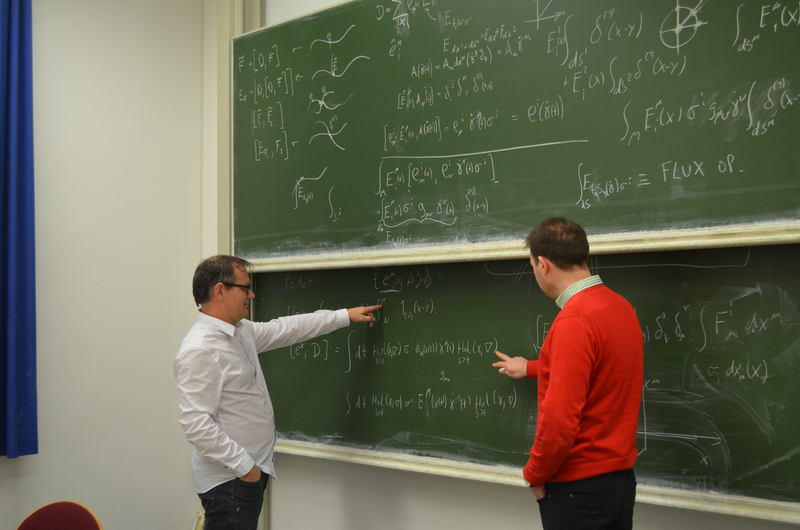 J. Aastrup and J. M. Grimstrup, “Quantum Holonomy Theory and Hilbert Space Representations” . To appear in Fortschr. Phys. This entry was posted in Author Insights, IOPselect and tagged general relativity, Loop Quantum Gravity, quantum gravity by Jennifer Sanders. Bookmark the permalink.